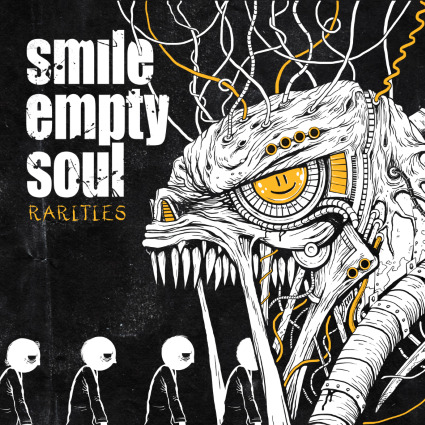 After an auspicious start due to a pair of largely forgettable rough mixes (“One at a Time,” “Something New”), Smile Empty Soul’s Rarities begins to pick up steam with the sprawling acoustics of “Alone,” which finds a sullen frontman Sean Danielsen howling bar after bar dripping with emotion (‘I'm not worth the air I breathe / Clean the day of everything / Wash myself of self-esteem’ and ‘I am alone / But holding on / All that I know / My hero’s gone / And I am alone’). From there, “Goodbye” plays like a potential rock radio single that fell through the cracks, the punchy “What’s Going Through My Head Right Now” borders on punk-rock, Rarities unplugs once more on standout “Finding Myself” (which originally appeared on The Punisher soundtrack) and Smile Empty Soul cap the record off with a trio of covers (the band introduces some much needed grit and heaviness to Tori Amos’ meandering “Precious Things,” deliver a nearly spot on take of Nirvana’s guitar-fueled “Aneurysm” and bring the house down with an ultra-gruff version of Sarah McLachlan’s “Possession”). Rarities is somewhat uneven, but Smile Empty Soul gets a bit of a pass since this is a collection of rare and/or never before released tracks.